Christiane Gruber is Professor of Islamic Art at the University of Michigan, Ann Arbor. Her primary field of research is Islamic painting, in particular illustrated books of the Prophet Muhammad’s ascension. She is author of The Timurid Book of Ascension (Mi‘rajnama) : A Study of Text and Image in a Pan-Asian Context and The Ilkhanid Book of Ascension : A Persian-Sunni Devotional Tale. 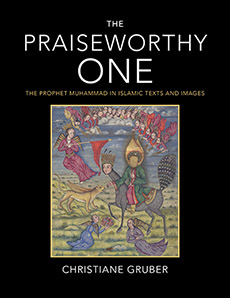 She is editor (with Frederick Colby) of The Prophet’s Ascension : Cross-Cultural Encounters with the Islamic Mi‘raj Tales and (with Avinoam Shalem) The Image of the Prophet Between Ideal and Ideology : A Scholarly Investigation.